The results you want. The life you deserve. If painful, unsightly varicose veins have been holding you back from the things you want to do, it’s time to stop hiding. And start living. Northwest Vascular Consultants can help. With leading-edge technology and non-invasive solutions, treating your varicose veins or spider veins is now easier—and more comfortable—than ever. And unlike a cosmetic spa, your procedure will be performed by a board-certified vascular surgeon: a medical professional with the proper training, knowledge, and experience to ensure a safe and effective treatment. You can feel confident that you’ll receive the best possible care, focused on giving you optimal results. Contact Northwest Vascular Consultants today. And take the first step to looking and feeling better. There’s a clear relationship between heredity and developing varicose veins. If other family members have had varicose veins, there’s a greater chance that you will too. Women are four times more likely to get varicose veins than men, because female hormones tend to relax and weaken vein walls. Birth control pills and menopause also create hormonal fluxes. In addition to hormonal changes, the increase in blood volume can stretch and distend veins. Later in pregnancy, the enlarged uterus can compress veins, putting more pressure on them. People who spend much of the day sitting or standing have a greater risk of developing varicose veins. Not moving for long periods of time may force your veins to work harder to pump blood to your heart. Being overweight puts extra pressure on your veins, straining any areas that may already be weakened. Overweight people often have more sedentary lifestyles. The development of varicose veins usually peaks between the ages 50 and 60. That’s when the elasticity of the vein walls decreases, which can weaken the valves so they don’t work as well. Veins are responsible for bringing blood back to the heart, sometimes working against gravity. In healthy veins, a series of one-way valves help regulate this process. But if the vein walls or valves become damaged, the valves can’t close properly. This allows blood to flow backwards, where it pools and causes the veins to become enlarged. Medically, the condition is known as venous reflux— and it’s the underlying cause of varicose veins. Because symptoms will only get worse over time, varicose veins should be treated as soon as possible. During your first visit, you may be given an ultrasound scan to get a more detailed view of the damaged veins. This painless procedure reveals the diseased veins beneath the surface of the skin. You’ll be asked questions about your symptoms, family history, and medical history. Your vascular surgeon will perform a physical exam, gently probing for problem areas on your legs while you’re standing. Using this diagnostic information, we will customize a treatment plan for you, to ensure the best possible results. Our advanced varicose vein treatments are faster, more effective, and less painful than older methods such as vein stripping. Northwest Vascular Consultants offers safe, medically supervised treatments that will have your legs looking—and feeling—better than ever. All procedures are performed by experienced vascular surgeons, in the comfort and privacy of our Portland clinic. You’ll be treated and back at home the same day, with no need for hospitalization or a long recovery period. A newer technique, endovenous thermal ablation, uses image-guided technology to treat varicose veins. The treatment area is numbed, then heat is directed through a catheter to target the wall of the diseased vein. This permanently “closes off” the varicose vein and eliminates the high pressure that caused it to visibly enlarge. Because the treated vein is left it in place, there is very little bleeding or bruising; and the body simply reroutes blood flow through healthy surrounding veins. The procedure usually takes an hour or less. You’ll be able to walk out of the clinic and return to your normal activities the next day. Compared to traditional vein stripping, our patients find this procedure delivers the same cosmetic results, with a faster recovery time and minimal discomfort. Long term studies have shown that the risk of developing new varicose veins is significantly less with thermal ablation than with vein stripping. This non-surgical approach is a very effective way to treat smaller varicose veins. A tiny needle is used to inject an FDA-cleared solution directly into the damaged vein. The solution irritates the lining of the varicose vein, causing it to stick together and close. Over time, the vein shrinks away and is simply absorbed into the body. For larger varicose veins, we offer a newer sclerotherapy technique. Your vascular surgeon injects the solution with a catheter, guided by ultrasound. This minimally invasive procedure allows sclerotherapy treatment on larger varicose veins that previously could only be treated surgically with vein stripping. Depending on the size of the vein, sclerotherapy takes 30 minutes to an hour. You’ll be able to walk out of the clinic and return to your normal activities the next day. You’ll see improvement in smaller varicose veins just a few weeks after your treatment. Larger varicose veins respond in three to four months as the body absorbs the vein. Activities like walking, cycling, swimming, and climbing stairs keep the calf muscles moving and the blood pumping. That reduces pooling and pressure in the veins. Flexing your ankles simulates walking, and pumps the blood out of your legs. If you have to sit or stand for a long period of time, try flexing your ankles 10 times every 10 minutes. Keeping yourself at a healthy body weight helps reduce excess pressure on your legs. On long car or plane trips, activate your calf muscle “pump” by moving your feet up and down frequently. When driving, stop to take a short walk every few hours. Whenever possible, put your feet up to rest—keeping them positioned higher than your heart for the most benefit. Stay out of hot tubs and hot baths. Heat tends to increase vein distention and lead to more pooling of blood. Take the first step to looking and feeling better! Meet our doctors and talk about the procedures available to you. Complete your pre-visit forms, and learn more about insurance coverage and convenient payment options. 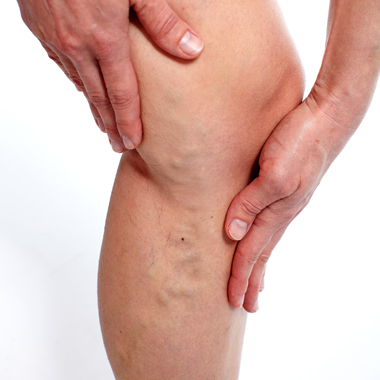 Have questions or concerns about your vein conditions? See the answers to our patients’ most common questions.